Kent Gold Optima 10 L Storage Water Purifier is perfect for a small family. It is very easy to use filtering and requires no electric power to operate and filter water. The capacity of the filter is about 10L.It processes the water and helps you with clean and healthy water. Nonelectrical Water Purifier -as it requires no electrical current to purify the water. UF Storage Water Purifying Technology-is embedded for water purification. 10 L Total Capacity is the capacity of the storage filter. 4000 L Cartridge Life for unlimited water supply for a month or two. Kent Gold Optima 10 L Storage Water Purifier purifies water like boiled water. Its sleek and innovative design makes it more adorable. It is a double storage purifier and is capable of filtering about 4000L of water after which the filter needs to be replaced. The purifier is a transparent purifier with a space to fill with water and purify it. The top tank can be filled with 4.5 liters and the lower tank can be filled with 5.5 liters. The purifier consists of sediment and activated carbon filters which makes the appliance safe and durable. The water tastes very good. It consists of hollow hydrophilic UF membrane which provides a resistance to chemicals. 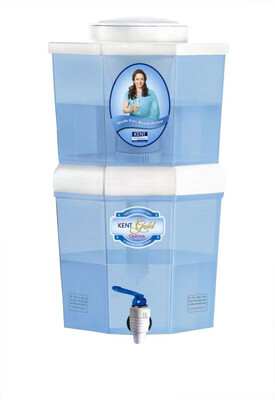 Kent Gold Optima 10 L Storage Water Purifier provides water which is free from chemicals, bromine and iodine. This makes water tasty and healthy. This gives easy process to draw water. The best part is that the product comes with a standard warranty of 1 year during which Kent service center will replace all damaged parts and provide necessary services. Kent Gold Optima 10 L Storage Water Purifier is very reliable for smaller families. The Kent provides customer friendly appliances which fit the budget and provides them with clean, fresh and pure water. 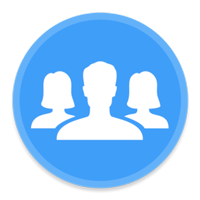 The filter can be replaced at intervals. However, it suits all purposes.